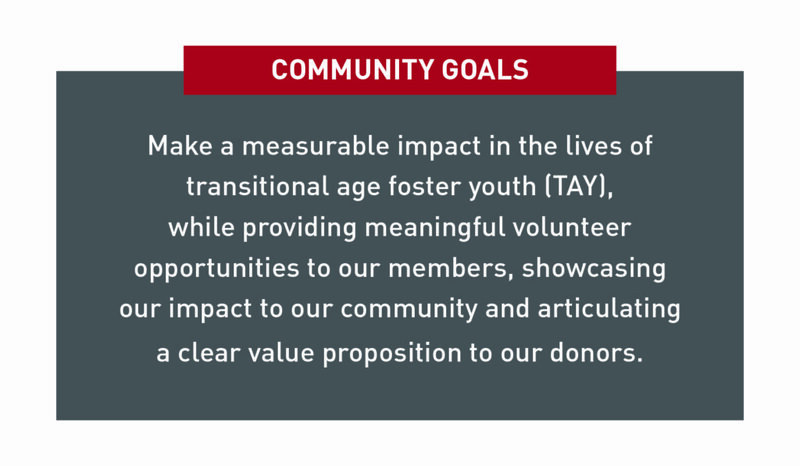 Junior League of San Jose (JLSJ) utilizes an Issue-Based Community Impact (IBCI) model, which directs all League volunteer efforts towards JLSJ’s community focus: transitional age foster youth (TAY). In 2016, JLSJ officially changed our community focus to helping foster youth successfully transition out of foster care. JLSJ is focusing our efforts on foster youth and addressing the complex and intense issues they face by helping to change the statistics. IBCI allows our Members to engage with our community focus in a variety of capacities. JLSJ engages the TAY community through volunteer activities, partnering with organizations in the TAY community, and providing grants to organizations working with TAY. 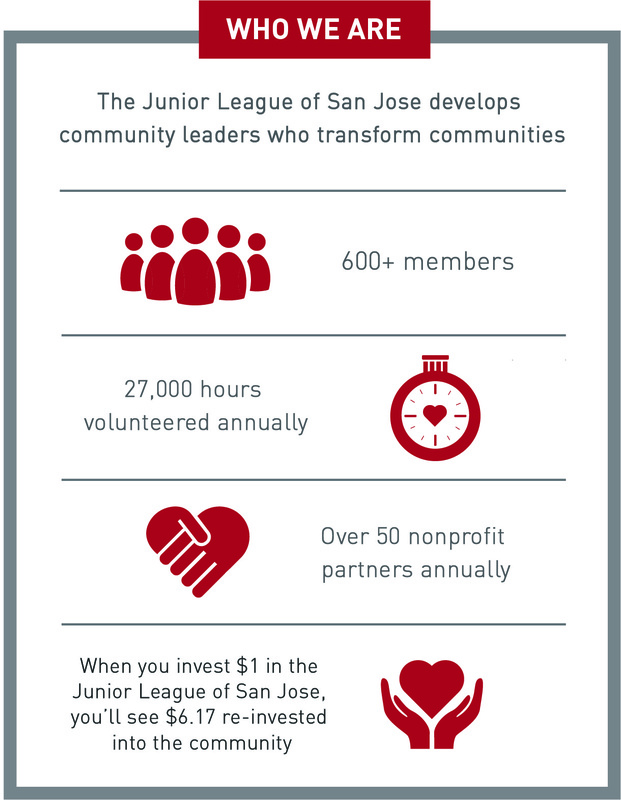 For every $1 donated to JLSJ, we reinvest $6.17 into Santa Clara County. 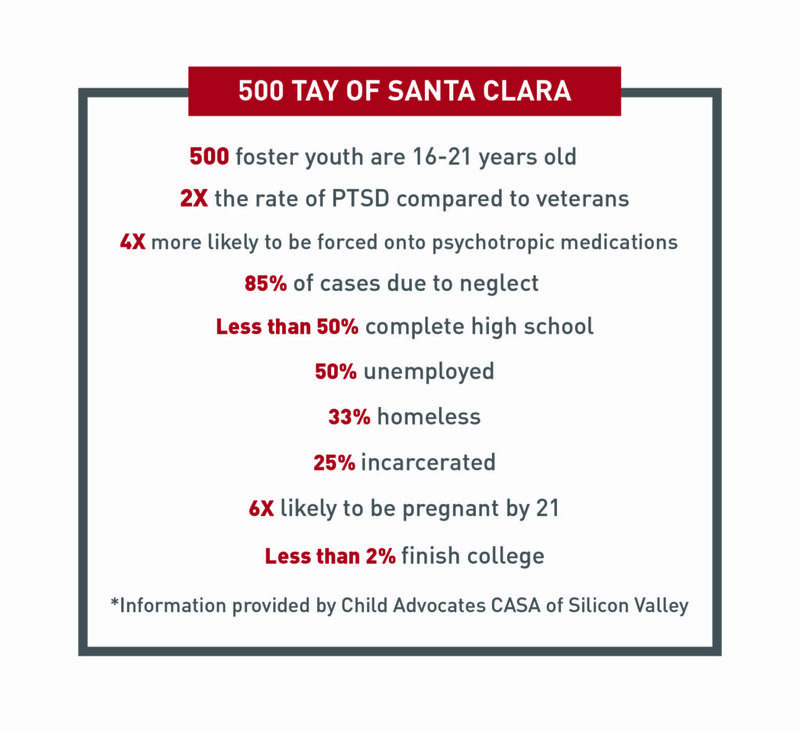 Junior League of San Jose is proud to be a part of the Foster Youth Aligned Action Network (FYAAN), a network of community, government, and business organizations committed to improving education and employment outcomes for foster youth in Santa Clara County. The FYAAN is focused on preparing foster youth for education-to-career pathways. JLSJ’s development process and continued communication with effective community partners in this focus area continues to inspire us and keep us connected to the worthy endeavor of improving our community. In 2018, JLSJ is thrilled to partner with inspirational non-profits like Silicon Valley Children’s Fund, First Place for Youth, Healthier Kids Foundation and Bill Wilson Center in both a funding and volunteer capacity as our 2018 Community Impact grant recipients.